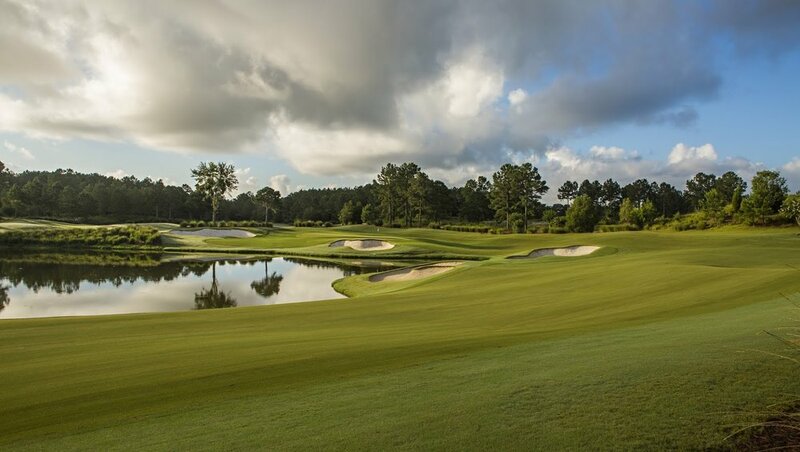 The USGA is returning to Berkeley Hall Club in Bluffton, S.C.
Berkeley Hall Club, in Bluffton, S.C., has been selected by the United States Golf Association as the host site of the 2020 U.S. Women’s Mid-Amateur Championship. Scheduled for Aug. 29-Sept. 3, the 34th U.S. Women’s Mid-Amateur will be the club’s third USGA championship and first since hosting both the Men’s and Women’s USGA State Team Championships in 2005. Tom Fazio designed both the North and South courses at Berkeley Hall Club in 2001 and 2002, respectively, to reflect the classic designs of the 1920s. The North Course, which features rolling fairways and bunkers that strategically frame heavily contoured greens, hosted the 2005 Women’s State Team won by the Georgia team that featured Laura Coble, who has played in 14 U.S. Women’s Mid-Amateurs, including a runner-up finish in 2009. The South Course, known for its tree-lined fairways, lakes and boldly contoured green complexes, hosted the 2005 USGA Men’s State Team won by Texas. Since 2012, Berkeley Hall has annually hosted The Players Amateur, a prestigious event won by players such as two-time USA Walker Cup competitor Rickie Fowler, 2003 U.S. Junior Amateur champion and two-time USA Walker Cup competitor Brian Harman, 2000 USA World Amateur Team Championship competitor Ben Curtis and 2003 USA Walker Cup competitor Bill Haas. The championship course for the 2020 U.S. Women’s Mid-Amateur will be announced at a later date. First played in 1987, the U.S. Women’s Mid-Amateur is open to female amateurs age 25 and older with a Handicap Index® not exceeding 9.4. The championship field features 132 players who compete in two rounds of stroke play, after which the field is cut to the low 64 scorers for match play. The 2020 U.S. Women’s Mid-Amateur will be the 18th USGA championship and second Women’s Mid-Amateur contested in South Carolina, joining the 2003 Women’s Mid-Amateur at Long Cove Club in Hilton Head Island. The most recent USGA championship in the Palmetto State was the 2017 U.S. Women’s Amateur Four-Ball at The Dunes Golf & Beach Club in Myrtle Beach. Upcoming U.S. Women’s Mid-Amateurs will be conducted Sept. 22-27, 2018 at Norwood Hills Country Club in St. Louis, Mo. ; and Sept. 14-19, 2019 at Forest Highlands Golf Club in Flagstaff, Ariz.